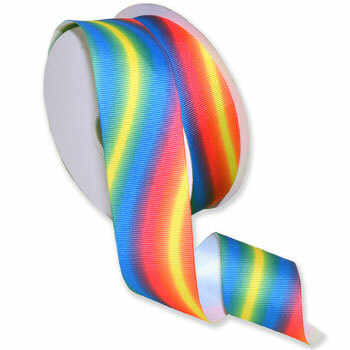 Peace, love and tie dye rainbows bring back the 60's in 4 versatile color combinations with our rainbow Grosgarin ribbon. From primary tones to baby pastels your next project will come alive with this fun pattern. Great for birthdays, baby showers, party decorating and more!